At Little Ruggers, we like to challenge our children from the day they join us! Even at the age of 2 years, it is amazing what they can achieve with the right guidance and encouragement. Along with fitness and life skills such as running, jumping, listening, sharing and teamwork, we introduce more rugby based skills such as catching, passing, scoring a try, kicking off cones and side stepping in the Puma class. Although we are always looking to encourage independence some of our games, drills and activities will require parental assistance. We find Little Ruggers is a great way for children to overcome shyness as they will learn to interact socially with other children. This will help to develop confidence they are encouraged to develop listening, language and sharing skills. After graduating from our Puma class, parents will be able to see children benefiting from increased stamina, confidence and self esteem, vital for an active and healthy lifestyle. In the Jaguar class, tasks become more challenging to further develop each child’s co-ordination, body awareness, controlled movements and team work. They take part without parental assistance thus encouraging listening and remembering in sequential order. This results in further boosting of their self esteem and confidence in readiness for school and many other life skills for later in life. It is not about individuals at this stage… it is about getting children involved in teamwork! Teamwork is introduced by getting the children to work with each other on different activities such as tag rugby, a non-contact team game in which players wear tag belts amongst many other activities. Rugby skills are further developed at this stage with the addition of specialised skills to make the transition from Little Ruggers to their Rugby Clubs at age 7 a seamless one. The aim is to provide local Rugby Clubs with a steady flow of children with well developed rugby skills and most importantly a lifelong love and enjoyment of the game. In addition to rugby specific skills children will develop other transferable life skills including confidence, coordination and concentration. We will be utilizing the valuable knowledge and experience of our coaches to further develop children who have enjoyed their time at Little Ruggers. Please note – age groups are flexible depending upon your child’s age and physical capability but spaces can not be guaranteed in a particular class/age group. When children become eligible they will be encouraged to join a rugby club of their choosing to continue there rugby playing career. 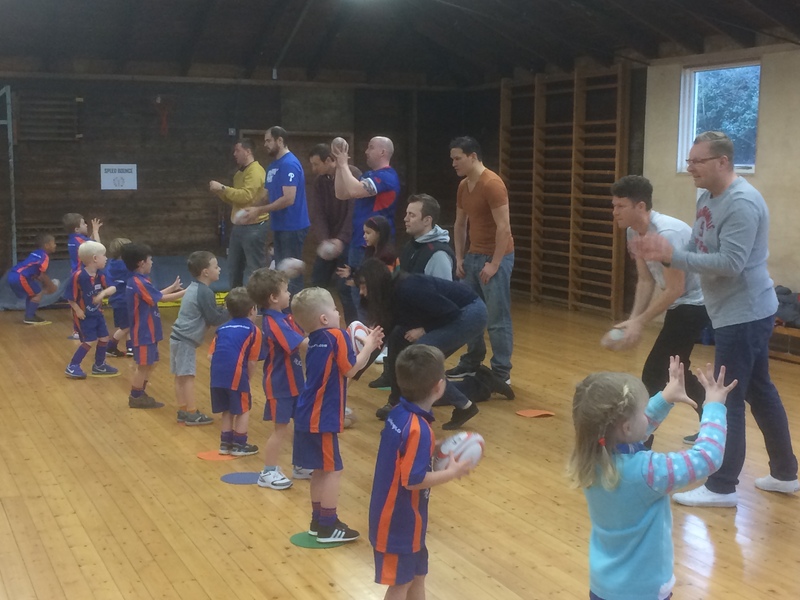 Little Ruggers will be working with Rugby Clubs to support their mini rugby sections and help grow rugby participation.